In grade school my teachers taught that animals had no soul and therefore were inferior beings. It didn’t make sense to me then, and certainly does not ring true now. In fact, my experience is quite the opposite. I have found animals to be amazing teachers in general, for demonstrating qualities humans could certainly aspire to, such as: unconditional love, light-heartedness, patience, persistence, and forgiveness. These are qualities that most of my clients would say their pets possess in abundance. But it doesn’t end there. Author Penelope Smith observes that “animals can teach us about our own true nature, since most of them always know and never disconnect from awareness of themselves as eternal spirit functioning within the whole web of life.” I would have to agree. I have witnessed animals who are clearly Spiritual Teachers, serving to show us more evolved ways of being better humans. I spent over two decades studying with renowned Spiritual Masters. Then I began to notice how certain animals were assuming the same roles, teaching us how to meditate, how to be fully present no matter what is happening, how to release old energies and patterns instantly, and how to do advanced and profound healings. A client called me years ago about her cat who was diagnosed with cancer with very little time left. 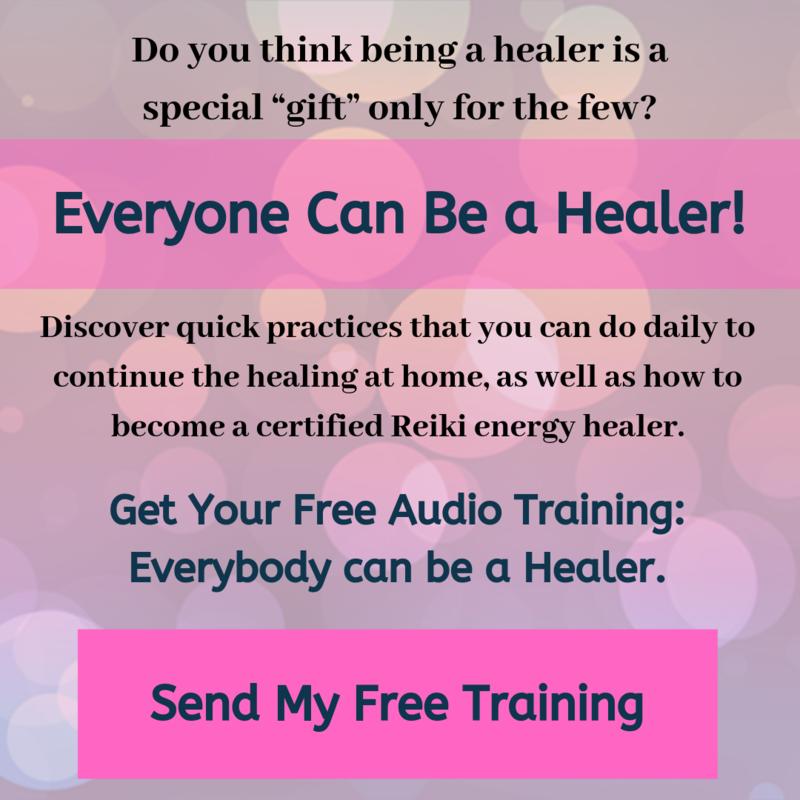 I sent Reiki and he had instant relief from many of the discomforts of the cancer. There was a sense of completion with his human, as he saw her through a very challenging time. But now he was a bit despondent as he was waiting to die. He needed another purpose. So we talked about what he could focus on now and the cat showed me that he was a powerful and skilled meditator. His person confessed to being a bit stuck in this area, as she would get to a certain place of emptiness, and would become afraid. I suggested that the cat could become her Meditation Teacher with whatever time he had remaining…he became elated and got to work immediately. Her “Buddha Kitty” then proceeded to support her by first going to different states of consciousness, having me describe them and hold the space, and then his person would more easily access them. Her fear diminished with each session. I once asked my puppy Suki who she was in that little doggy body and she communicated that she was a “healer” but she wanted to be somewhat incognito and work unconventionally. I attuned her to Reiki early on, and made the mistake of initiating her paws. Suki proceeded to use her paws and “punch” people at times in their solar plexus, and just as I was about to scold her, people reported that she shifted major blockages they had been unable to release! When Suki was very near transitioning, I was very sad as she had a huge open tumor on her shoulder. I curled up with her on the couch in my office one night. Suki immediately filled the room with a blanket of enveloping energy that was so thick I felt like I was in the Divine Womb, and all my fear and sadness melted away. Suki explained telepathically that I should not just treat the body with healing energy, but fill the room with it too so that people and animals would feel safe and be able to more easily release their limitations. Much of human misery stems from the fact that we are most often living in the past or the future, rarely in the present moment. Animals are incredibly able to demonstrate this ability to be fully present. People often call me to find out if their animals are in pain. Though animals feel all types of pain, they often are not experiencing it the way humans are because they are not obsessing mentally about it. They have the ability to be fully in each moment. So one moment they are perhaps aware of their body and its discomforts, and the next they are watching a bird, and so fully in that moment that there is little or no pain experience. Thank you for such a wonderful piece of writing. I totally agree with you and know that many others are remembering the true divine essence is all beings, not matter the species. I have experienced so many profound moments with animals, and notice that the animals and people drawn to me always relate to my own learning path too, it is the law of attraction of course, so when we are offering service we automatically are offered the opportunity to receive service too. My wonderful horse companion Apache is patient, kind, loving, direct, honest, focussed in the moment and teaches me so much each and every time I spend time with him. My cats are also divine teachers and each offer me learning and support unconditionally. If we humans can remember how to enter into all moments free and open and willing to be flexible and fluid our world will instantly transform. This is one of the many important lessons animals seek to show us. Blessings and love to you Kumari and thank you for all you do. I totally agree with you. Too often, our minds are rehashing the past or anticipating the future; meanwhile the present is not attended to properly. What we do right here, right now becomes a memory of yesterday and impacts tomorrow. Animals live in the present (except when they are sleeping). HI Ron, so nice to hear from you! It seems this is my single pointed focus these days–the goals get simpler, but not so easy to accomplish. In the present is the only place to be–and all healing comes from presence also. Once I have listened to and allowed the old emotions, I have been able to suggest to animals and people to call back all of their energies (thoughts, feelings etc) to the present, and amazing “miracle” healings occur. So much of our awareness gets caught up in past and future we are not accessing our power , which is is of course in each moment.